Kessils most efficient LED module yet! 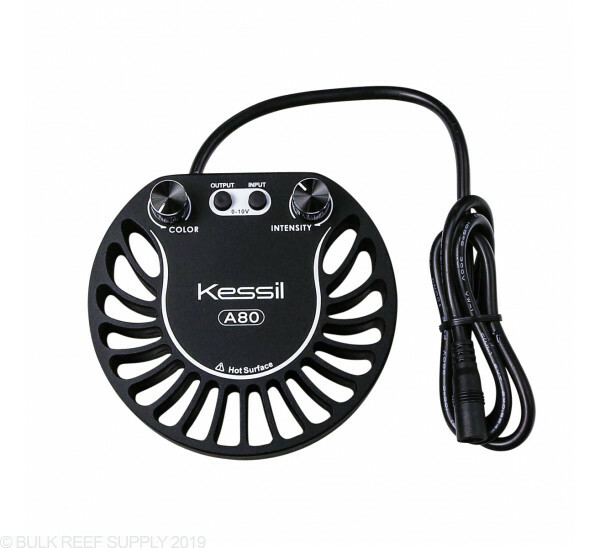 The Kessil A80 is perfect for nano mixed reef tanks, most soft coral tanks, and fish only tanks too. The design of the A80 integrated the body as the actual heat sink for the module allowing for fanless operation making it totally silent. The LEDs in the A80 are packed into Kessil's Dense Matrix array allowing for deep penetration and high power output while giving you control over the intensity and overall color. 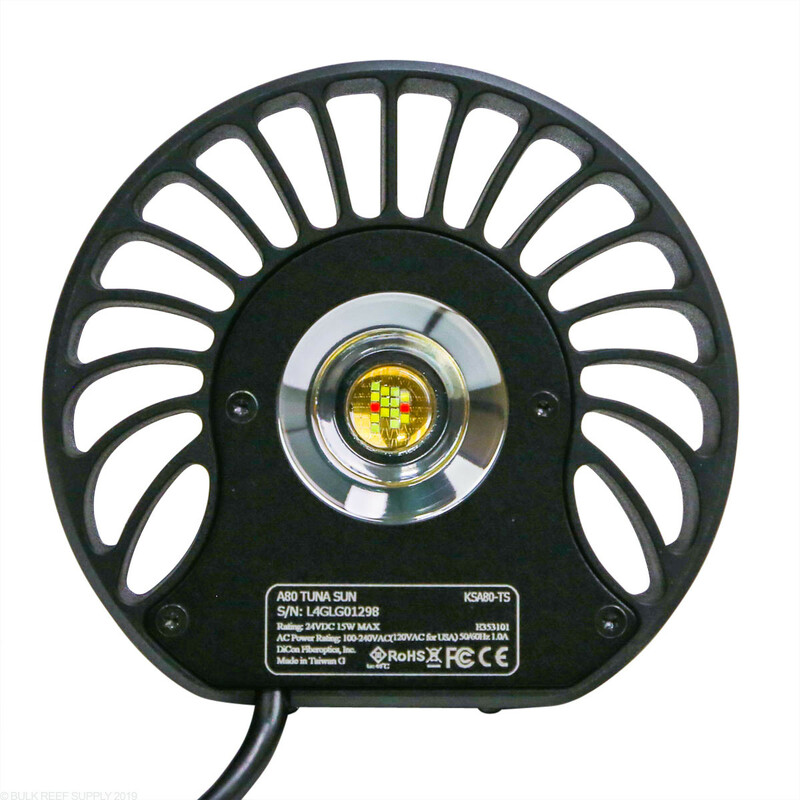 The new innovative design of the A80 integrated the heatsink for the LEDs right into the body of the light allowing for high heat transfer without the need for a fan. The fanless design makes the module virtually silent in operation making them perfect for bedrooms, offices, and other areas where absolutely no noise may be required. 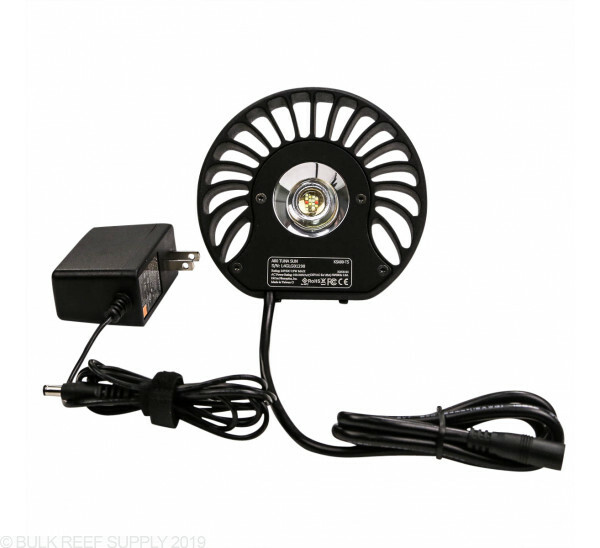 Kessil has spent many years developing and researching what LEDs and has their unique array that they build in-house packing numerous diodes into an area no larger than a dime created a nice even blend of colors and producing a very broad spread of light. With such a tight pack of LEDs, the individual colors are thoroughly mixed before the light even leaves the optic lens reducing hot spots and providing uniform coloration throughout the tank. After many years of R&D, Kessil Logic™ can be found on all of Kessil's LED lights. 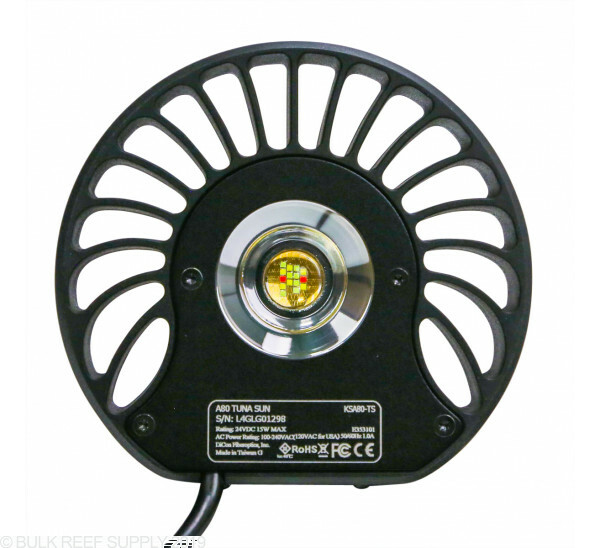 The A80 allows you to fine tune the overall color and intensity that the light puts out while keeping a spectrum that will be optimal for coral health and growth. 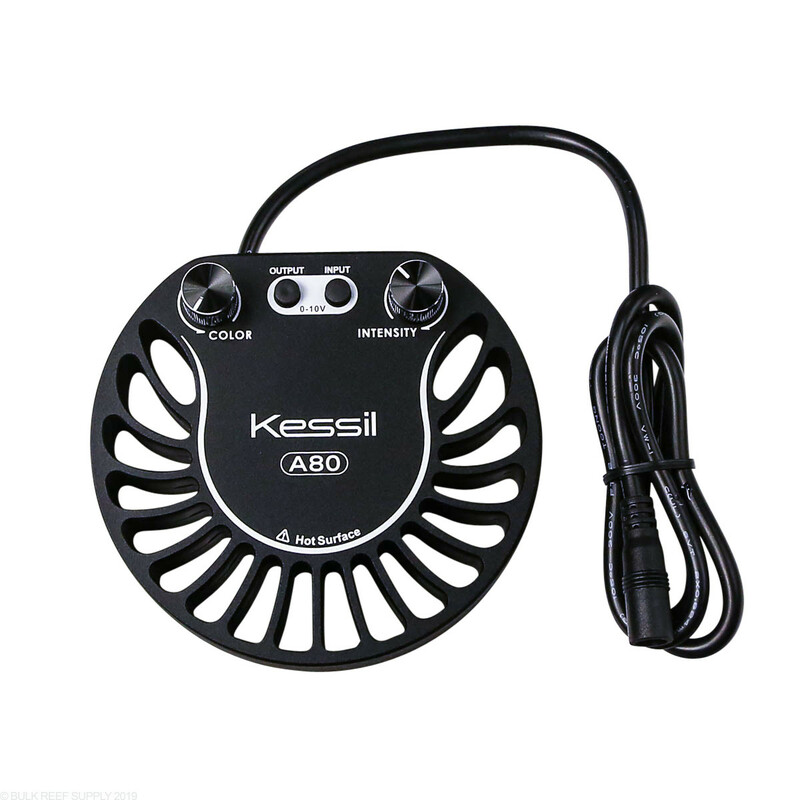 With the Kessil Spectral Controller or your favorite aquarium controller that has a 0-10v reference, you can set complete day cycles that ramp up, down, while keeping a consistent output and spectrum. Multiple modules can be daisy-chained together with unit link cables for larger tanks. 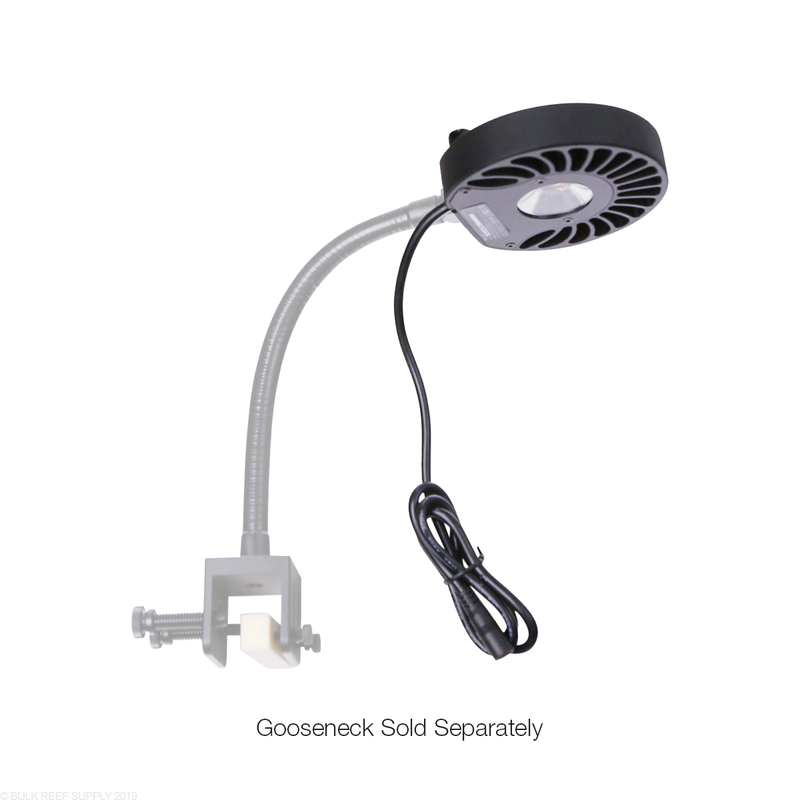 Mounting the A80 can be accomplished with the included Canopy Mounting Adapter or the Mini A-Series Gooseneck which can be purchased separately. Using the tuna blue over my reef nano tanks, so thought I'd try the tuna sun over my freshwater planted nano. Nice light. Plenty of power for a small tank and grows plants just fine. I bought this light to place in my refugium to grow chaetomorpha. It has not done that well at all. I am not sure if it would make a great light for other purposes. 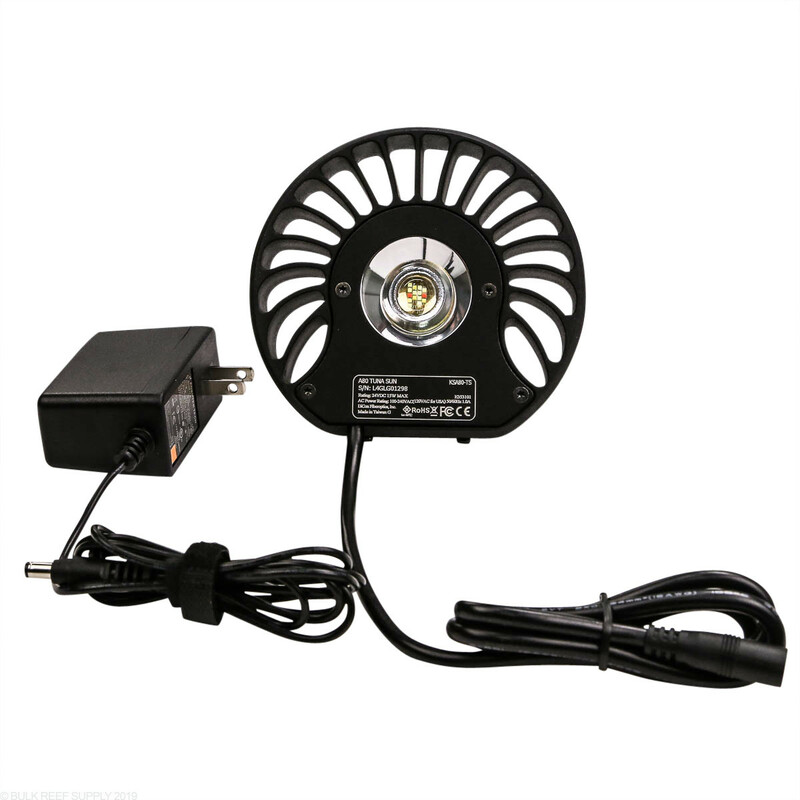 It's actually very easy to be "green" with this energy efficient, and very bright, adjustable, daylight spectrum Kessil LED lamp. Combine it with some of the nano watt smaller filters (some as low as 4 watts) and of course the smaller heaters (where required) and enjoy all the beauty of the larger aquariums, of course on a smaller scale, and use only pennies of electricity usage per day. 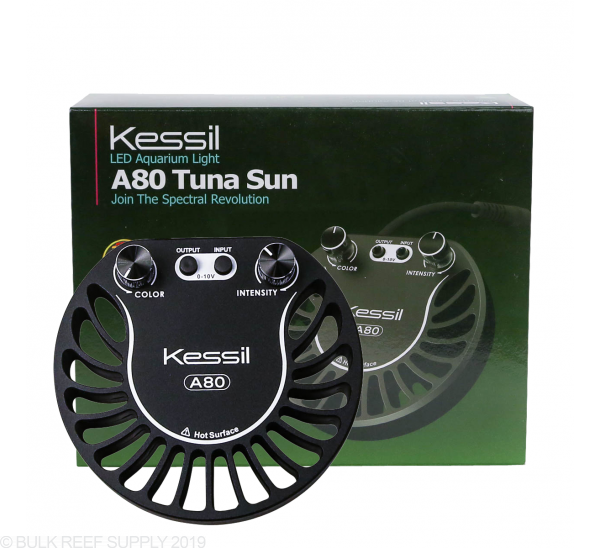 Would the a80 tuna sun make a good refugium light to grow Chaetomorpha??? I plan on running a 2'x2'x12" display fuge with various types of macro algae, would the A80 be sufficient for this type of system? For a shallow tank like this, the A80 should do a fine job. 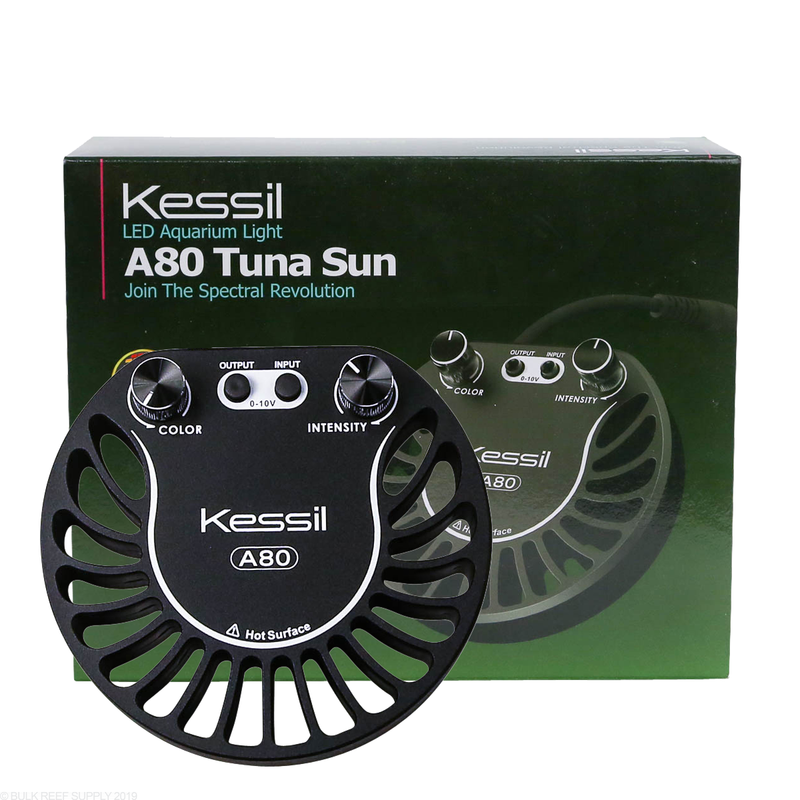 The H380 will most likely grow the algae the best due to spectrum, but if aesthetics are a concern, the Tuna Sun series can grow plant life quite nicely as well. Depending the distribution of algae in the fuge, you may find that a couple of A80's might be necessary to get the best coverage. Would two of these be sufficient for a 45 gallon (36x12x23) freshwater planted tank? With just some medium- lowlight plants? Two Kessil A80 Tuna Suns would cover that size of tank nicely. Have a great day!